Ben Fennell, the chief executive of Bartle Bogle Hegarty London, has resigned from the agency after almost 25 years service. He is leaving advertising to set up his own business that he says will help individuals, teams and businesses grow. BBH’s global chief executive Neil Munn will take up the role of UK chief executive in addition to his global remit. Michael Islip will leave Digitas as UK chief executive at the end of July to "pursue opportunities outside the company". Danielle Bassil, who joined the agency in October last year as chief operating officer, has been promoted to chief executive of Digitas UK. Islip had been with the agency for a decade. Dentsu Aegis Network has appointed Christine Removille, one of the founders of Accenture Interactive, as global president of media agency network Carat. Removille joins Dentsu Aegis Network from Accenture where she has been a senior executive for 20 years. She will start on 3 September. VCCP deputy executive creative director Matt Lever is moving to BMB to become chief creative officer. Starting in August, Lever will oversee BMB’s creative output and sit on the agency’s executive team. He will replace Jules Chalkley, who joined Ogilvy UK as executive creative director earlier this year. Havas helia in Cirencester has expanded its senior management team. Paul Kitcatt and Lisa Lee will be joining as non-executive director and business strategy director, respectively. Having started his career in Cirencester at Brann, Kitcatt is best known for co-founding Kitcatt Nohr Alexander Shaw. He has been informally working with Havas helia for some time but will now be working with the senior management team on a permanent basis. Lee held roles at Ogilvy, Young & Rubicam, Wunderman and Saatchi & Saatchi before joining Nomads as global chief strategy officer. Publicis.Sapient has made hires from Tesco and Amazon. Tilak Doddapaneni is joining PS as global head of engineering from Tesco where he was online engineering director, and Rakesh Ravuri is joining from Amazon as chief technology officer for programming languages and cloud and global head of engineering for retail. Disney has promoted Asad Ayaz to president, marketing from his previous role of executive vice-president, head of theatrical marketing. He replaces Ricky Strauss who becomes president, content and marketing for Disney’s upcoming video streaming service. JCDecaux UK has promoted Dallas Wiles to the position of chief commercial officer - responsible for client partnerships and investments. Wiles was appointed commercial director in 2016 and was previously director of trading at JCDecaux. The Mill has hired Johnny Moore as chief operating officer. He will oversee group-wide performance across The Mill’s seven global studios, working alongside founder and chief executive Robin Shenfield. Moore joins from Sky where he spent 20 years, most recently as director of operations for Now TV. 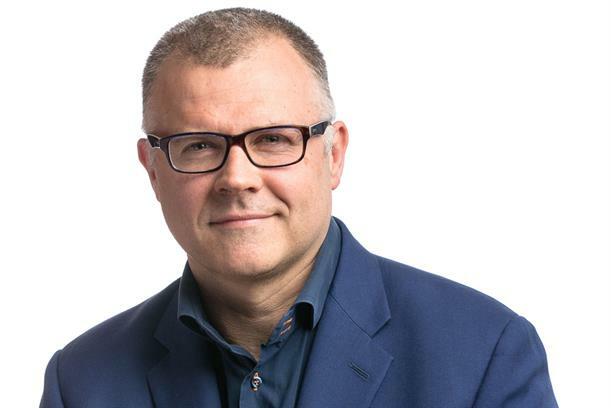 Simon Bowthorpe has joined M&C Saatchi Sponsorship as global chief marketing officer. Prior to joining M&C Saatchi, Bowthorpe worked for MCN Middle East Communications Network, where he served as managing director of UM Qatar and Kuwait and FP7/KWI. Having started his career at Grey, he has also held senior leadership roles across media, creative and events agencies. McCann Connected has appointed Claire Richardson-Critcher as digital business development director and Paul Goonoo as digital director. Richardson-Critcher was previously director and partner at Creative Spark, while Goonoo comes from a client leadership role at iProspect. AllBright, the female-focused enterprise co-founded by former chief executive of Hearst Anna Jones, has appointed Global’s commercial director Debbie Ward as chief commercial officer. Also joining as head of partnerships and live is Global’s Amy Oldham who was head of creative content and events and Ascential’s Claudia Collins as head of marketing. Collins has previously worked at News UK where she handled brand strategy at The Times, The Sunday Times and The Sun. Fuse, Omnicom Media Group UK’s partnerships and experiences agency, has named Shane Kerr as data director. Kerr joins from Nielsen Sport, Nielsen Entertainment’s sport intelligence and measurement arm. Former Possible and Fortune Cookie founder and chief executive, Justin Cooke, has joined digital agency Cyber Duck as a non-executive director. Cooke will work alongside founder and chief executive, Danny Bluestone. Digital agency AmazeRealise, part of the St Ives Group, has appointed former Dare managing director Richard Neish to the newly formed position of chief of staff. Prior to this appointment, Neish had been working with the business on the integration of Amaze and Realise. Talon, the independent out of home specialist agency, has created the new role of chief transformation officer, appointing Josko Grljevic. He moves from Exterion Media where he was chief technology officer. Mercieca has appointed Amina Ghaith as account director. She was previously junior account director at Lick Creative.